some light on how pro-unification groups operate in Taiwan, including by reportedly paying people to attend events and asking the police for the names of independence advocates. The documentary was produced by Lynn Lee (李成琳) and seeks to draw attention to activities of pro-unification groups in Taiwan, most notably the Concentric Patriotism Association (CPA, 愛國同心會) and the China Unification Promotion Party (CUPP), whose members have grabbed headlines by attacking independence advocates and Falun Gong members staging a sit-in outside Taipei 101. 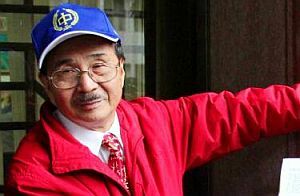 The network sent an undercover reporter posing as a Chinese visitor to Taiwan in an attempt to infiltrate the CPA. During the reporter’s conversations with CPA executive director Zhang Xiuye (張秀葉), a Chinese immigrant, Zhang told him that the association paid people between NT$800 and NT$900 per day to wave the national flag of the People’s Republic of China.